HP has announced its intention to buy mobile phone manufacturer Palm for a cool $1.2 billion (£790 million). 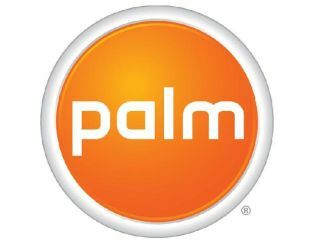 The company has picked up the ailing Palm after HTC passed up the opportunity, which created a lot of optimism about a renaissance last year with the Pre and Pixi, but has not managed to follow up that success. HP claims it is also going to continue with the work into WebOS, Palm's intricately developed smartphone platform, and create new devices around it. According to Todd Bradley, executive VP of the Personal Systems Group for HP, part of the attraction of Palm is to gain access to the enormous patent portfolio it's developed over the years, making HP instantly able to take on the big players in the smartphone space. "Palm's innovative operating system provides an ideal platform to expand HP's mobility strategy and create a unique HP experience spanning multiple mobile connected devices," said Bradley. "And, Palm possesses significant IP assets and has a highly skilled team. The smartphone market is large, profitable and rapidly growing, and companies that can provide an integrated device and experience command a higher share. "Advances in mobility are offering significant opportunities, and HP intends to be a leader in this market." HP has already got a long-standing interest in the mobile space – at the turn of the century it purchased Compaq and took charge of the popular iPaq line of pocket PCs. And now it has another string to its bow, it seems that HP could turn out to be a major player in the smartphone space if it correctly leverages the potential of Palm.